Cast: Nakajima Yuto, Takashima Masahiro and Nagasaku Hiromi. 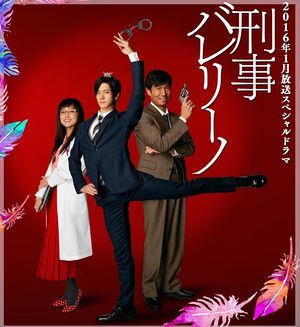 Usushima Kurumi (Nakajima Yuto) dreamt of becoming a ballerino, but due to his age and stature, he decided to become a detective, when he became awestruck by a police officer saving a life. On his first day at the job, he is assigned to partner up with a senior detective, Washio Takao (Takashima Masahiro). Even though Kurumi isn’t a ballerino by occupation, he keeps his posture straight and gesture on point, which annoys the ruff and stern partner. The two initially have different views on life and work, they soon find middle ground, as they are assigned a case, where assailants attack certain doctors, but are unable to remember what had happened during the offense.